With the help of funding from the OpenPlant Fund, University of Cambridge researcher Dr Paolo Bombelli together with Ms Rachael Kemp and Mr Alasdair Davies of the Zoological Society of London have launched a competition to design and manufacture a prototype of a plant powered camera trap. Deadline for proposals is 30th April 2018. Camera trapping has been transformed by technology to become a major tool for conservationists, playing a crucial role in helping to better understand the effects of threats such as climate change and habitat loss, and supply data that can be used to inform policy and practice. However, the current popular power sources such as battery packs and solar panels, are proving inadequate in more remote areas or in less than optimum conditions, for example in tropical forest canopies. To overcome these challenges and further develop this area of conservation technology, this interdisciplinary team are running The Plant-Powered Camera Trap Challenge, looking to power camera traps and environmental sensors, using plant-microbial fuel cells. Are you an architect, engineer, designer or a scientist? 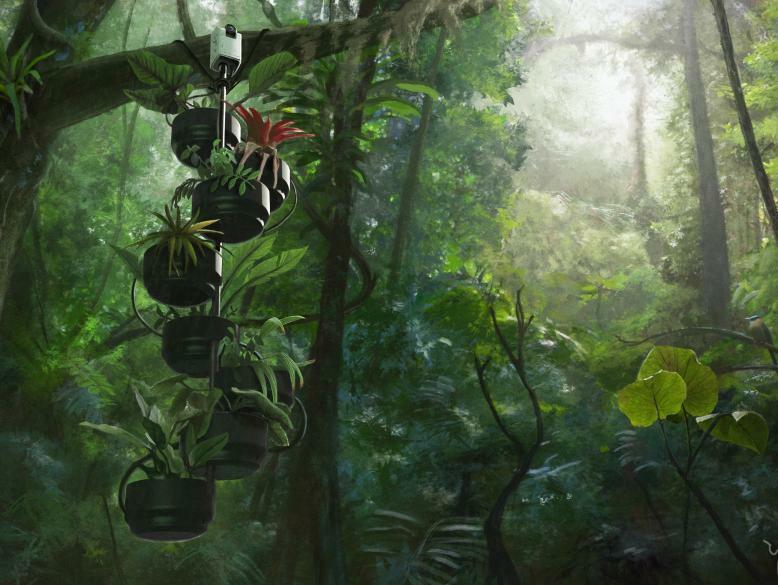 Are you able to design and manufacture a prototype open source plant-BES (bio electrochemical system) to power a camera trap to be used in tropical rainforests? All prototypes should be able to deliver 5v and produce 5000mC of charge per day. Submit your concepts by April 30th to receive an award of £10,000 from the Arribada Initiative and OpenPlant to build and deploy your device in the field. If you think you can take on the challenge click here to register and find out more. Newer Post PuntSeq; a toolbox and workflow to facilitate realtime monitoring of algal, bacterial and viral diversity in aquatic field work situations.